Being organized does not just pertain to adults. It benefits children as well. Did you know that you can actually boost your child's confidence, their ability to learn and their maturity level by helping them to create order in their life? Being organized is more than just a clean room. For adults and children alike, it is essential for learning. If you don't have the materials you need to ace a test or you are surrounded by clutter, it affects your ability to focus. Organization encourages responsibility. 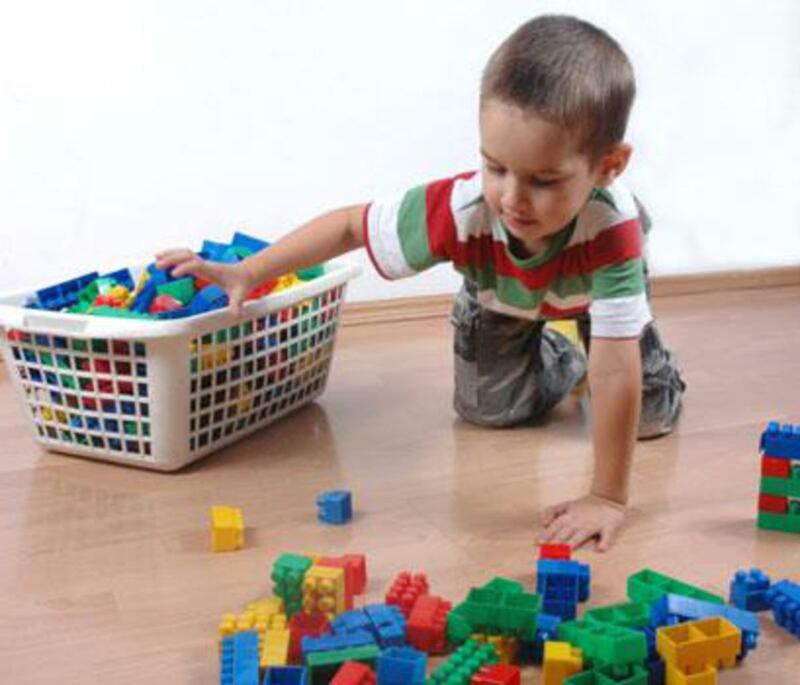 For children, it can be as simple as cleaning up their toys and putting them into clearly marked containers. When your child is organized, they become more independent and their frustration level is reduced. If they know what they want and where to find it, they can do more things on their own, which gives them a great sense of independence and self-esteem. A few habits is all it takes to help your child develop organizing skills. There are techniques that work for younger children as well as older children. Younger children can get involved with cleanup. Make it fun by setting a timer and creating a pick-up game that lasts about 10 minutes. If you have more than one child, get the entire family involved. Get your child used to cleaning up as they go and doing a final sweep at the end of the day. By the time your child reaches grade school, they will be able to keep their toys organized on their own. Using simple containers set up by category and labeled with pictures of the type of toy or game will make clean up a breeze. When it comes to older children, pointing out their successes will encourage them to do more. Your grade schooler or tween can clean up toys and games, help clear their dishes off the dinner table, dust and hang up their jacket. Show them examples of what they are already doing and what else they could also be doing. Make it easy for them to be successful. When your child sees that they already know how to be neat, the task will feel more doable to them. Younger children do not have a concept of time. However, that does not mean they cannot be taught promptness; it's just a matter of creating routines. For example, every night is "bath, book, bed". If it is verbally stated before the routine is to start and implemented each night, they will get accustomed to staying on schedule. Older children need to learn not to procrastinate. This can be taught by requiring your child to lay out their clothes the night before or plan out a long-term school project a week or so in advance. Younger children can learn this concept as young as 1 year old. Read them a story from beginning to end at bedtime. They are taught that things have a beginning, middle and an end. Referring back to what I mentioned above, having your child put away a toy after they play with it before pulling out another toy will teach them task completion, as well. When they are working on a larger project, like a Lego structure, however, you might decide it's okay to leave it for another time to complete. This will teach them how to manage long-term projects. Older children need to learn rules and limits. Older children get distracted by technology, which is a big hindrence for teens when it comes to completing homework or a chore around the house. Set up tech-free zones in the home and create a quiet place for your child to study. Set time limits as to how long and when they are permitted to use a gaming device or their phone for texting. Lastly, practice what you preach. Children learn by example, so be sure to follow the rules when it comes to these areas. If you are overwhelmed with your own clutter or your child's, I can help. I work with busy moms to organize their homes and their time, as well as working with their children to create an organized bedroom or playroom and create time management plans for the family. Don't hesitate to contact me to discuss your particular clutter issues. Now that we are well into Fall with Halloween just around the corner, Thanksgiving, Christmas and Chanukah will quickly follow. Before you know it, we will be participating in the hustle and bustle of holiday shopping. I would like you to keep something very important in mind. I recently spoke to a Moms Club at their monthly meeting and my topic was about organizing the kids. One of the points that I made, which is so relevant at this time of year, is that when it comes to gift giving, you need to remember the concept of "presents vs. presence". Did you know that the United States has about 3 percent of the world's children, yet U.S. families annually purchase more than 40 percent of the total toys consumed globally. This tends to happen because there are so many working parents. They now have less time to spend with their kids so they tend to shower them with toys to compenstion for that perceived "loss of quality time". Other relatives, such as grandparents, aunts and uncles can also contribute to this statistic. There is a difference between "presents" and "presence". Presents are great, but in excess, can cause clutter. 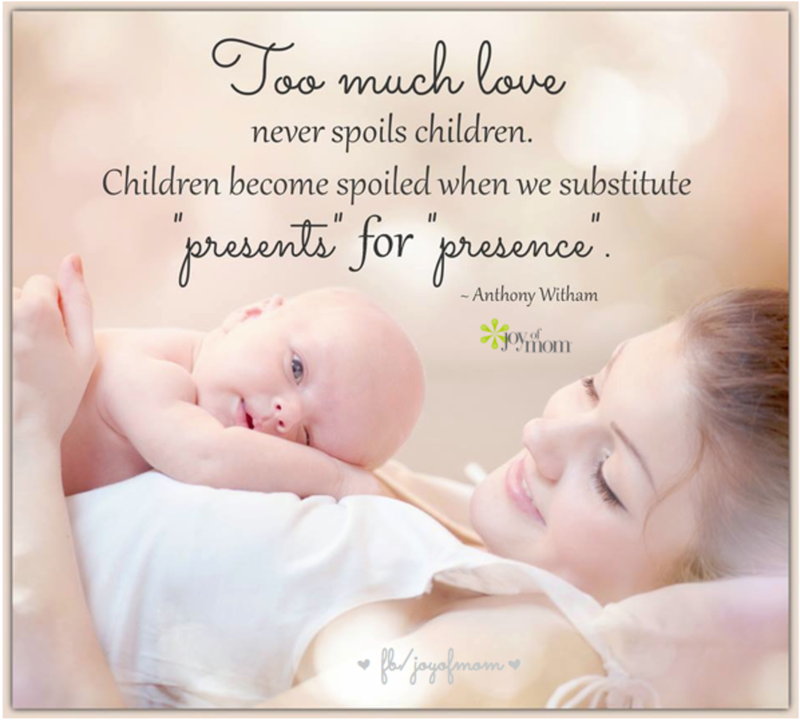 Don't spoil your child by providing too many presents. There are other alternatives. Have you considered asking grandparents or other family member to purchase movie tickets, tickets for live events or a favorite restaurant instead of a toy? Try to come up with creative solutions that do not involve a lot of toys, clothing or other items that are in excess of what is reasonable. Relatives and friends tend to want to give "things" to your children to show them how much they love them. However, they need to understand that, although it is appreciated, their time is more precious than possessions. Too many possessions tend to lead to clutter. I once worked with a hoarder who used to purchase toys and clothes for her grandchildren and ship them out three times a week. Can you imagine what that house looked like with all of those "presents" arriving at their door? I was able to get her to understand that her time with the grandkids meant so much more to them that the gifts they were receiving. She ended up taking a trip to visit them and spent about 10 days of quality time with them instead. Now that, in my opinion, is a "gift". Before the holiday season gets under way, why not take some time to contact those relatives and friends and express this concept in a tactful way so as not to upset the gift giver. Having alternative ideas in mind ahead of time will guide them in the right direction and help you reduce the clutter of too many possessions in your home. Consider doing the same for those you love. Give your time instead. Remember when gift giving this year - "presents" vs. "presence". Why not choose "presence". If you are overwhelmed with the toys, clothes and other items that have accumulated in your home, don't hesitate to contact me. I will help you bring balance back into your home so you can enjoy time spent with your family instead of stressing over the clutter.